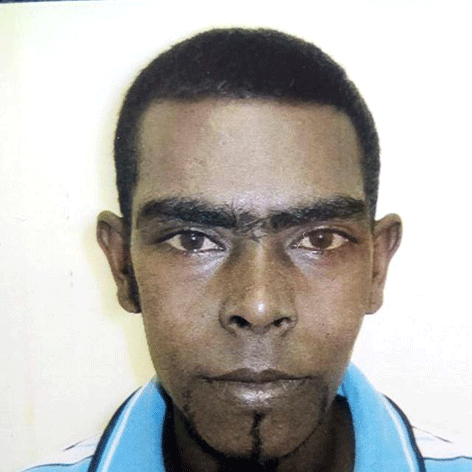 A 34-year-old Merebank widow says her family’s 11 month wait to determine if a decomposed body that was found dumped on Himalayas Road was that of her missing husband, Pregasen Clive Rampartab, 32, is finally over after police made the positive identification on Thursday. Speaking to the Southern Star, Keshnee Rampartab, of Jhelum Place, said the last 11 months have been a nightmare. “I am relieved that finally we can have some closure but I am angry with police for this delay. Clive went missing on 14 March 2018. A body that we believed was his was found on 25 March but police needed to test for DNA and this was inconclusive. Since then we have been in limbo because it was believed that Clive was still a missing person. I did not know what to believe. I cried, mourned, grieved and then I went looking for him again. It has been a rollercoaster of emotions for us. We followed all leads looking for my husband and often went to dangerous places but we needed to make every effort to find him,” the emotional widow said. Rampartab’s severely decomposed body was found by a passerby near Ganges Secondary School in Merebank. Keshnee said Pregasen’s brother and his mum rushed to scene when news of a body being found was received. “They identified him by the shape of his toes and toenails and a scar under his foot. He was also found with the T-shirt that he was wearing when he went missing,” added Keshnee. She added, however, that police needed absolute confirmation that the body belonged to Rampartab which led to the 11 month wait. “Police will hand over my husband’s remains to us early next week and thereafter we will proceed with funeral arrangements. Now we have to go through the mourning process again but this time we have a body and the chance to say goodbye. I am worried about how my seven-year-old son is going to handle all of this but God will see us through,” said the heartbroken mother. Anyone who wishes to find out more about the funeral arrangements can contact Keshnee on 061-991-7235.